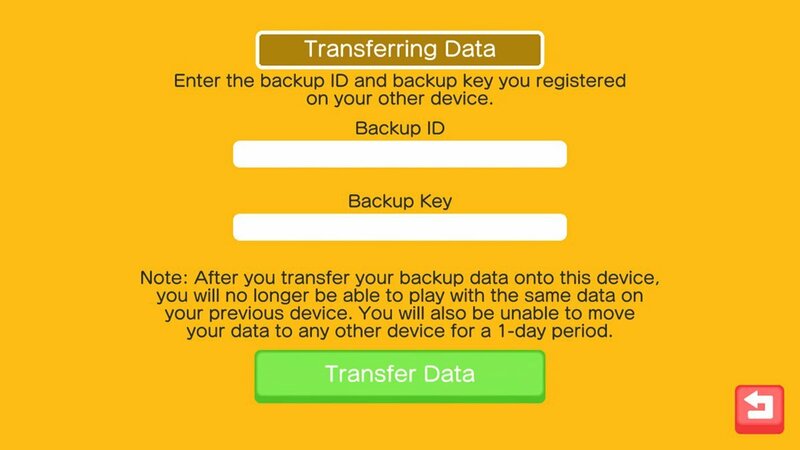 If you purchase a new phone, you can transfer your existing Pokemon Quest save files to your new device by using the new "Transfer Data" feature. If you establish a decent setup in Pokémon Quest before purchasing a new mobile device, you may find yourself wondering how to transfer existing save files and data between devices in Pokémon Quest. First, it’s worth noting that you can only transfer Pokémon Quest save files between iOS and Android devices, not from mobile to Nintendo Switch and vice versa. If you create a Pokémon Quest account on an Android device, then need to transfer your save data to a new iOS device, you should have no trouble doing so. Likewise, if you created a Pokémon Quest game on an older Android device, then purchase a new one, you can transfer your save files over to your new phone. Wondering how to transfer Pokémon Quest save data? Below, we put together a quick guide on how to transfer save files and data between mobile devices in Pokémon Quest! If you buy a new mobile device, you can transfer your save data from your old device by using the Transfer Data feature in Pokémon Quest. When it comes to knowing how to transfer save files in Pokémon Quest, you’ll need to keep in mind you can only transfer save data between iOS and Android devices, not Nintendo Switch. Additionally, the act of transferring save files in Pokémon Quest will effectively migrate all data including in-app purchases and in-game progress. To transfer save files in Pokémon Quest, you’ll need to locate the new “Transfer Data” feature. The best way to go about doing this is starting with your old device. Using your old device, head to the Settings menu and obtain a “Backup Key” and “Backup ID.” With this information handy, download Pokémon Quest on your new device, close the app, then re-open it. At the title screen, you’ll see a small icon in the top-right corner that says “Transfer Data.” Select this option to begin the transfer process while following all instructions as specified. Note that you’ll need to input your “Backup Key” and “Backup ID” so be sure you have those on hand. With your data successfully transferred, you won’t be able to complete another data transfer for a one-day period. Additionally, you’ll lose access to your data on your original mobile device. Of course, if you’re trading up to a new device you’ll need to have your save files and data available there rather than locked into your old device. By following the steps above, you should have no trouble transferring your Pokémon Quest save files from one device to another. For more on Pokémon Quest, be sure to check out some of our other guides including the best starter Pokémon in Pokémon Quest, how to farm Honey in Pokémon Quest, and how to craft the Get Swole Syrup a la Cube recipe in Pokémon Quest. By reading through this guide, you should now know how to transfer save files and data in Pokémon Quest.